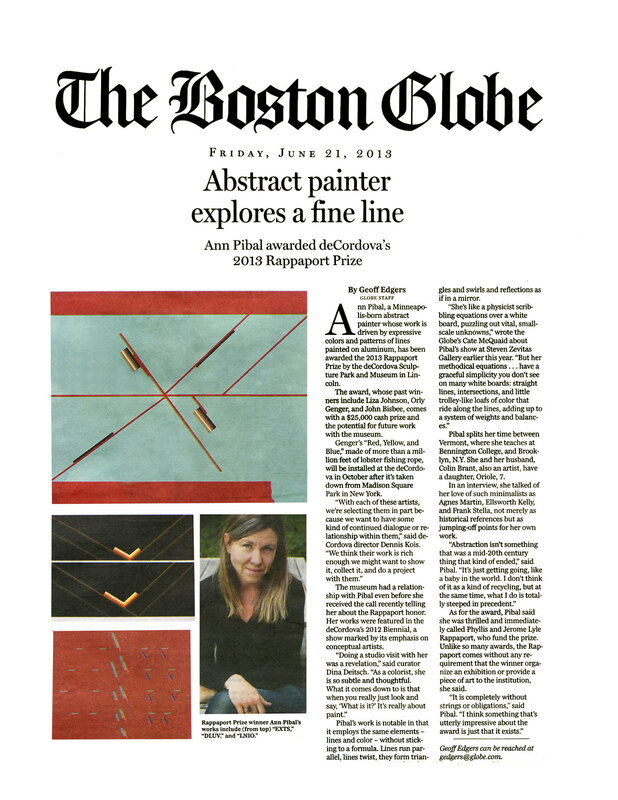 Congratulations to Ann Pibal for being awarded deCordova Museum's Artist Prize! 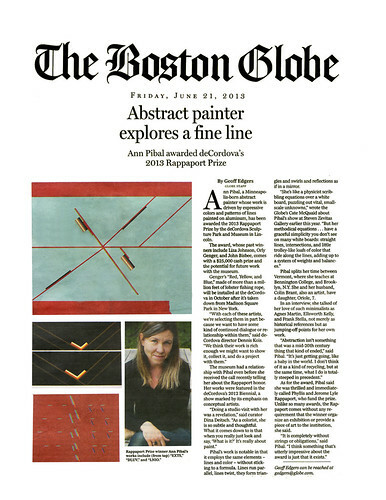 Recently the Boston Globe featured Ann and her latest accomplishment. You can read it online here or by clicking the thumbnail below.